Home / All / Stenciled Surprises are Great Painted Furniture Ideas! Debbie Hayes of My Patch of Blue Sky had a painted furniture idea and vision in mind- something that had a neutral and soft look on the outside and a bold surprise on the inside. She narrowed it down to our Otomi Folk Art Damask Stencil and bold mixtures of many Chalk Paint® colors. 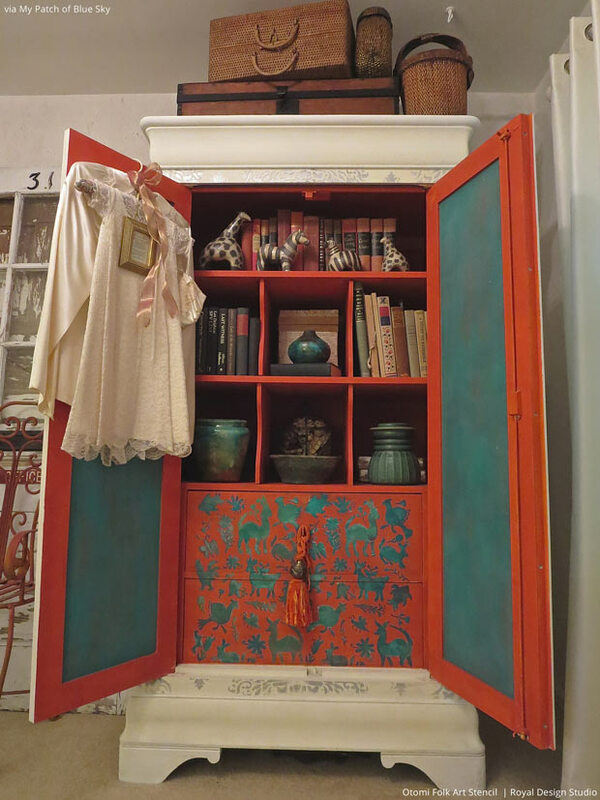 We love how she let her inner stencilista out to play on the inside of this cabinet! Aren’t we all a little wild on the inside? 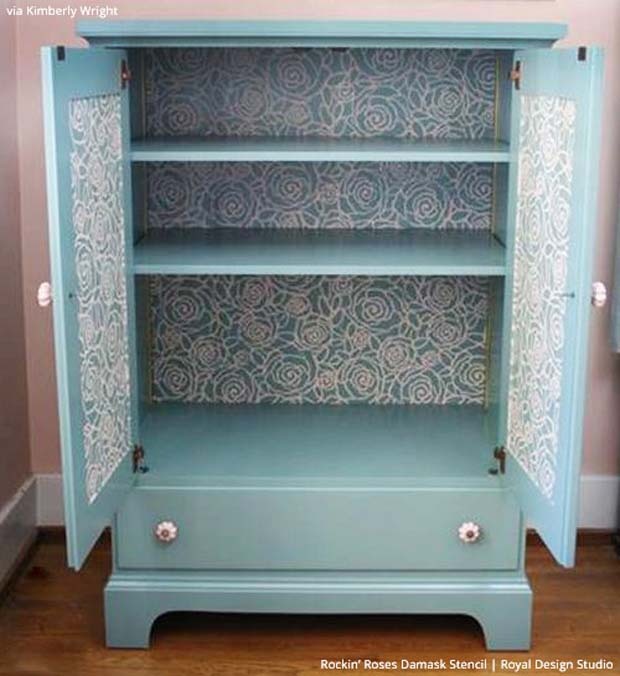 Check out how to recreate this look with this stencil tutorial: A Shabby Chic DIY Stenciled Cabinet with a Surprise! Debbie does it again! 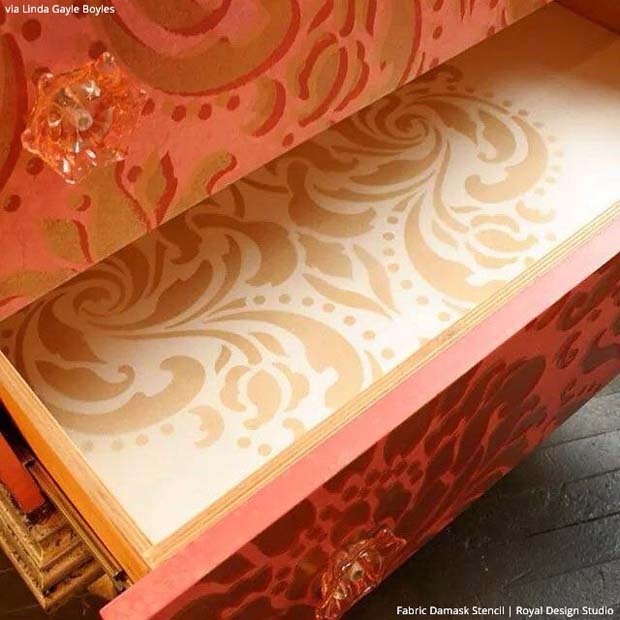 This time she wanted an explosion of color and pattern inside a piece of furniture in her studio. She used Chalk Paint® by Annie Sloan in Old White and Emile to add our Circling Allover Elements Stencil to the insides of the cabinet doors. Isn’t it perfect for both storage AND showing off? See more of this stencil project here: Cabinet of Stenciled Wonders. 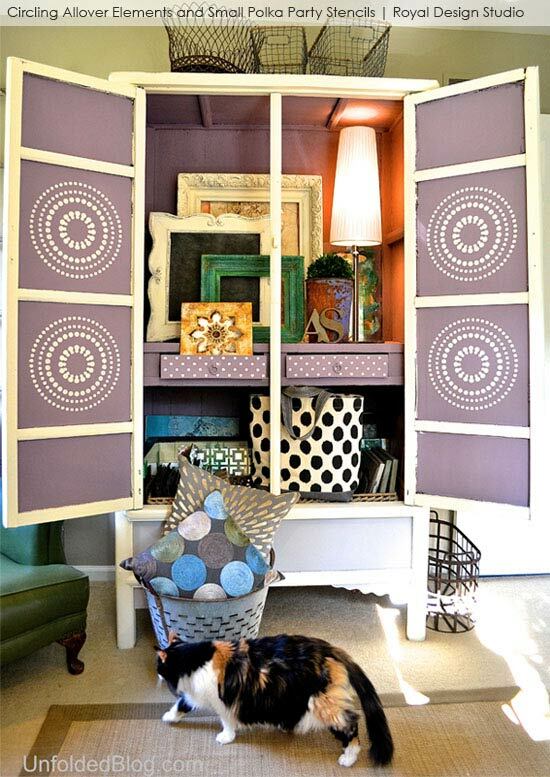 Our creative customer Kimberly Wright transformed an old television cabinet into a striking new stenciled storage unit! We love how the modern pattern of our Rockin’ Roses Damask Stencil painted on inside the cabinet complemented the fresh and contemporary light blue paint. What furniture stencil and paint would you pair for a stylish stenciled surprise? Whether you choose a modern pattern or a classic design, detailing the insides of a cabinet door can make that special piece EXTRA special. Cerro Paint loves how inspiring stencils are for painted furniture ideas! 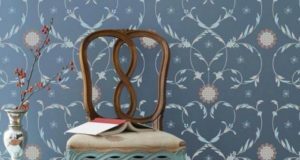 Sometimes she sees a great stencil design that will spark her imagination and she’ll pair it with a piece of uninteresting furniture and… voila! Stencil surprise! 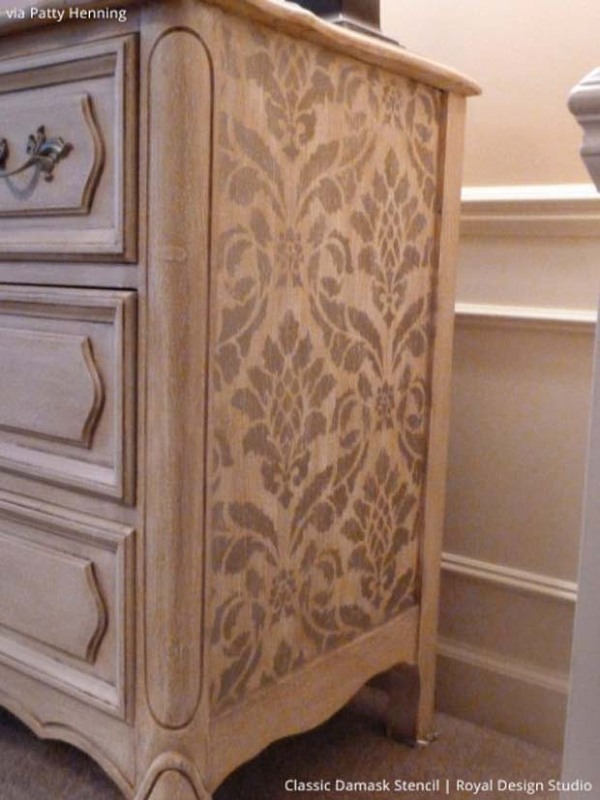 Our Scrollallover Furniture Stencil on the sides of this dresser is just the perfect touch of pattern that makes this piece pop. 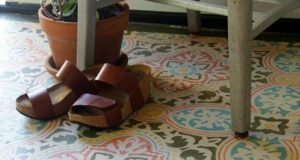 Although the colors and pattern are muted and neutral, the stenciled splash of style would make anyone ooh and awe! Isn’t this buffet from 3 Oaks Studio amazing? The colors used were predominantly Old Ochre Chalk Paint® by Annie Sloan on the outside with touches of Duck Egg and Chateau Grey as well with touches of gilding waxes and both Annie Sloan clear and dark wax. Inside the doors is a fun stenciled surprise with the Scrollallover Furniture Stencil from our perfectly-sized Furniture Stencils Collection. Open yourself up to a small dose of pattern by painting the inside of cabinets and drawers! Linda Gayle Boyles of Southern Inspirations believes that everyone needs furniture that is practical works of art. 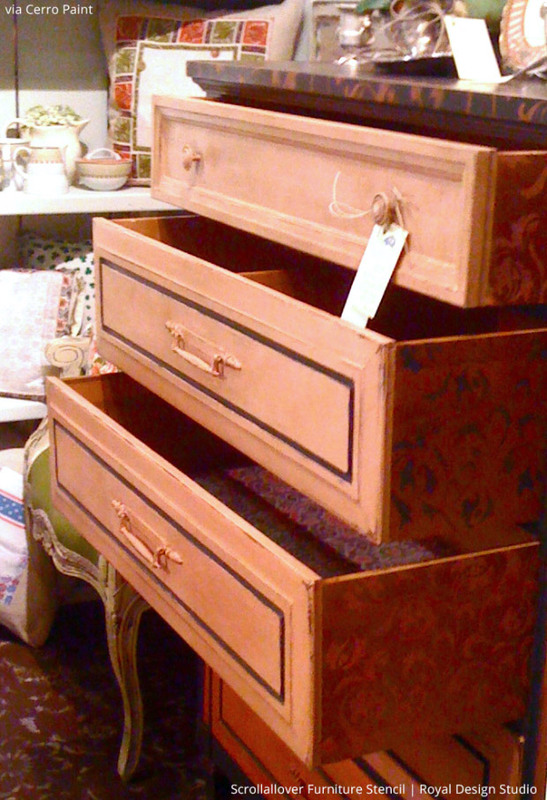 And anyone can have just that with the help of stenciling and painting the inside of dresser drawers! You can easily add a touch of glam to your dresser drawer liners by stenciling the insides with large scaled damask patterns, like our Fabric Damask Stencil, and metallic Royal Stencil Crème paint. 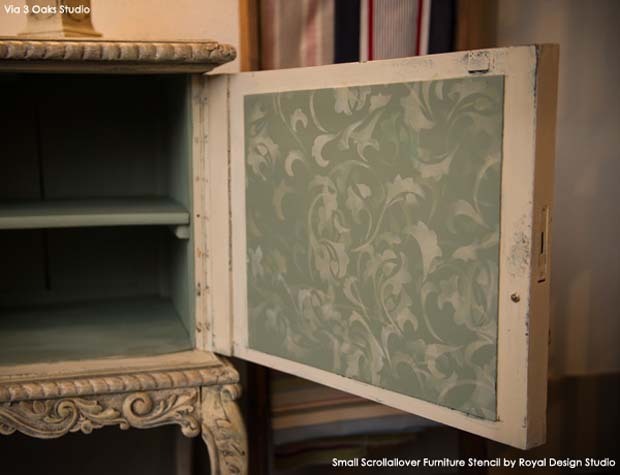 Fabulous Finishes had a dresser dilemma – she wanted to up the WOW factor on an old French provincial dresser without spending much money. 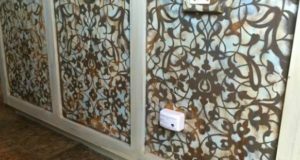 To keep her DIY project within budget, she thinned her paint with water and added a splash of something special – she added our Classic Damask Stencil pattern to the sides of the dresser. This painted furniture piece is to die for! Fabulous use of stencil detail, don’t you think? 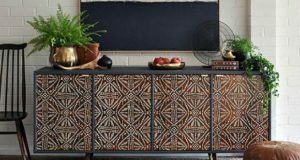 Have these painted furniture ideas inspired you to take a second look at drawers and cabinets with unforeseen pattern possibilities? We love to share your beautiful stencil projects with our readers! Email us at projects@royaldesignstudio.com, share them on our Facebook Page, or you can even Instagram your projects and tag us with #royaldesignstudio.